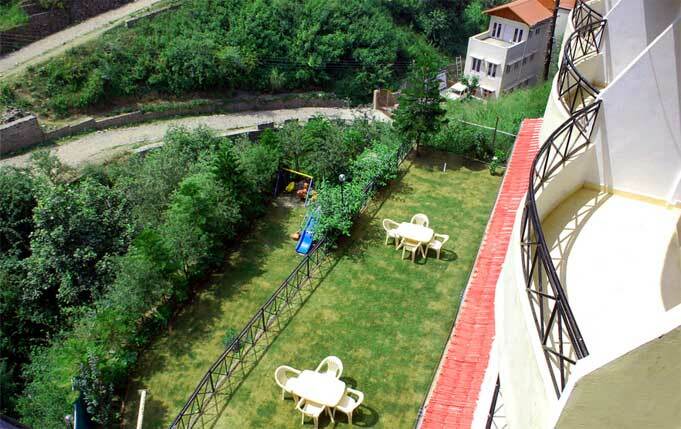 Stella Home Dreamland Kasauli is located near the Garkhal Highway, the Homestay is surrounded by ample panoramic views. And that's not all. Being one the best places for picnics and camping, the location offers a pollution free and peaceful environment. The Homestay is equipped with all the amenities like Room heaters, LCD, Intercom etc. 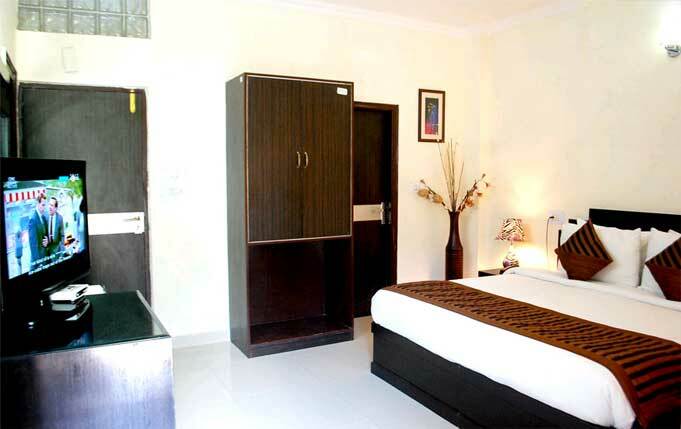 The Homestay is also having Luxurious Family Rooms with all modern amenities. Homestay is having Dining Area and Recreational facilities like Table Tennis and other Indoor games. Stella Home offers a selection of 13 well appointed rooms. The rooms have been tastefully adorned with a contemporary style decor, equipped with all modern amenities that complement the taste of the modern day traveler. All rooms offer a private balcony & Mountain view. Premium Our Premium Rooms in Kasauli strike a soothing balance of comfort and luxury. These cozy accommodations invite Guests of all ages to relax in a tropical haven called Kasauli and soak up all it has to offer. Family Room An ideal retreat for slightly larger families, the Stella family Rooms in Kasauli , comfortably accommodates up to 3 Guests. Here, luxurious furnishings and quaint Himachal touches create a relaxing vacation space to delight Guests of all ages. Dreamland has a comfortable and cosy retaurant within the premises. The restaurant serves decilicious and mouth watering dishes for breakfast, lunch and dinner. A vast range of dishes are served. The restaurant has a sit out portion overlooking the hils. In Room Dining Guests can savour their favourite food with our 24*7 in room dining. Kasauli is a lovely place located in Himachal Pradesh. A favorite destination for vacation in India, this place is worth going on sightseeing tours. There are many tourist attractions in Kasauli that are worth the visit. 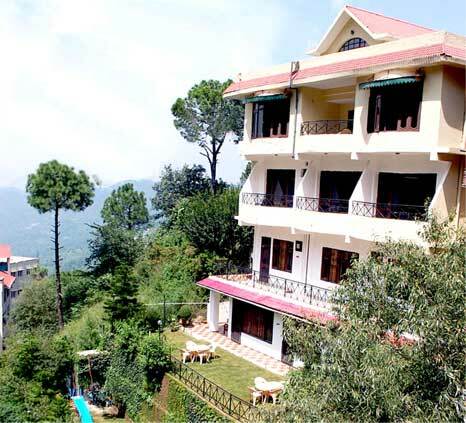 Kasauli is easily reachable from anywhere in Himachal Pradesh. The best way to explore Kasauli is by walking. Go on nature treks with your family, friends or simply by yourself. The roadside shacks offer lip smacking local food that is a hit with tourists and locals. Embark on a tour to Kasauli and explore nature in its best form! Monkey Point Monkey Point is the highest point of Kasauli. There is a small temple atop the hill dedicated to Lord Hanuman that offers picturesque views of the plains of Chandigarh and silver lining of River Sutlej flowing through them. An interesting legend states that when Lord Hanuman was returning with 'Sanjeevani Booti' to cure a severely wounded Lakshman, the brother of Lord Rama, his foot touched this peak. Thus, the shape of the hill top is shaped like foot of the Monkey-God. Lower and Upper Mall Tourists never miss the two main roads of Kasauli known as Lower and Upper mall. The two roads of Kasauli are lined with beautiful pine, chestnut, oak and juniper trees. While the Lower Mall is known for its eating joints, the Upper Mall does not allow any sort of vehicles in the vicinity. This has enabled to keep it clean and beautiful, thus making a long walk extremely peaceful. Christ's Church An old church that was built during the British era is a popular tourist attraction of Kasauli. This beautiful monuments has ancient gothic construction, spires, etc. that is typical of an Anglican church. It is dedicated to St. Francis and St. Barnabas. The stained glass dÃ©cor and lush green surroundings make it a picturesque tourist attraction.. Valid From 15th Jul, 2014 to 15th Apr, 2015. Deluxe Room: Rs.6000/- per couple + 17.42% Tax = Rs.7045/- per couple. Premium Room: Rs.9000/- per couple + 17.42% Tax = Rs.10568/- per couple. 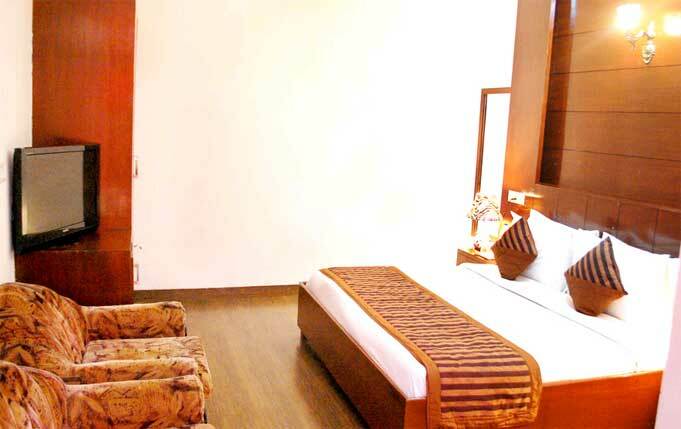 Deluxe Room: Rs.6420/- per couple. 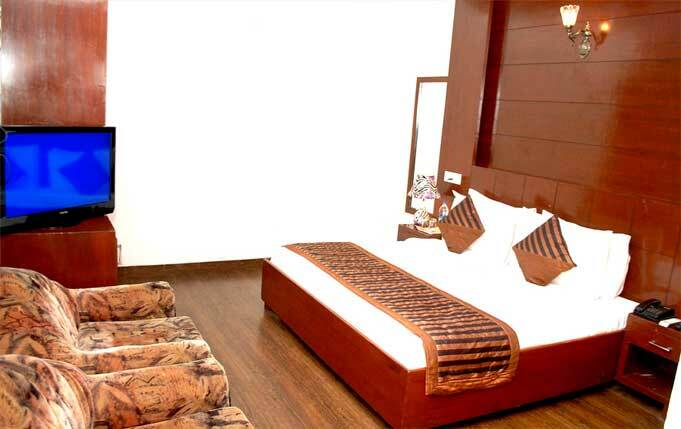 Premium Room: Rs.9630/- per couple. Valid From 15th Apr, 2015 to 15th Jul, 2015. Deluxe Room: Rs.7000/- per couple + 17.42% Tax = Rs.8219/- per couple. Premium Room: Rs.8000/- per couple + 17.42% Tax = Rs.9394/- per couple. Deluxe Room: Rs.7490/- per couple. 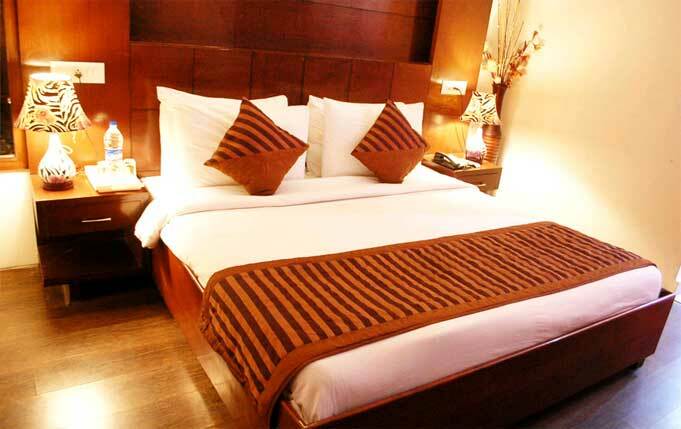 Premium Room: Rs.8560/- per couple.